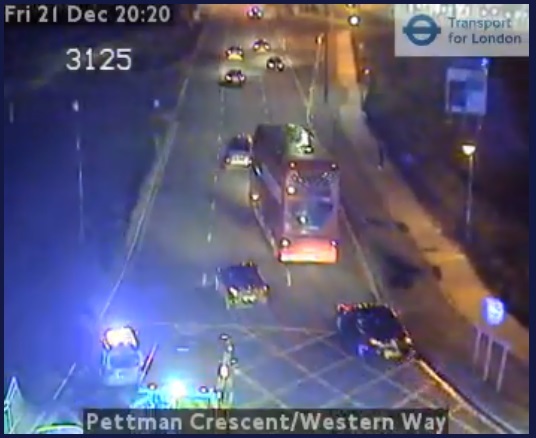 At least three cars have collided in Plumstead at the gyratory near Plumstead bus garage. One car has perched itself on guard rails along the road. Police have closed Western Way and the queue stretches back past the now-closed Princess Alice pub towards Thamesmead shops. The gyratory has seen a number of accidents in recent weeks – with some due to poor parking. It’s unlikely to be a factor at this spot though. The gyratory is possibly in line for removal in coming years as part of a 1,800 home scheme. I’m running an Xmas appeal for the site. It’s tough keeping it going whilst paying (very expensive) London rent and having a young family. Details here.